D MacKinlay cup, five clubs: 1 A Roberston 36 points (BIH), 2 J E Dunlea 36 points (BIH), 3 John Docherty 36 points (better last six). 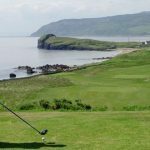 Thomson open: 1 John Ramsay 8-22=64, 2 Alan Weir 85-19=66 (BIH), 3 Ian Macphail 76-10=66. 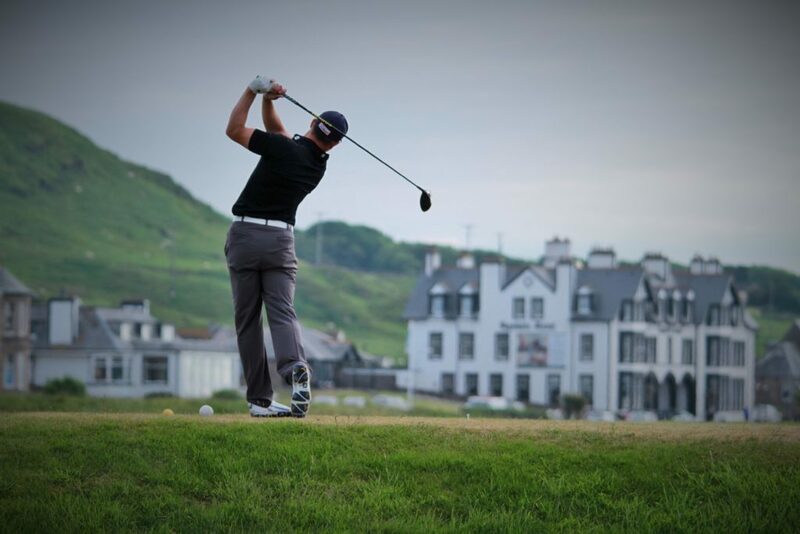 Scratch: 1 John Shaw 73, 2 Alistair Macphail 74, 3 F Wallace 75 (BIH). Senior: Calum Mclean 87-10=77, Junior: Andrew White 84-6=78, Ladies: Elizabeth Casey 82-11=71, Ladies scratch: Jean Capes 89. 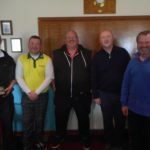 Glencaladh bowl: 1 John Rennie 34 points, 2 Fergus Walker 32 points. Pans course result July 18 to July 28: Ladies 9 hole competition: Linda McFadyen 19 points. Rose bowl: 1 Catherine Dobbie 85-12=73 CSS 69, 2 Jennifer Gilchrist 94-20=74.